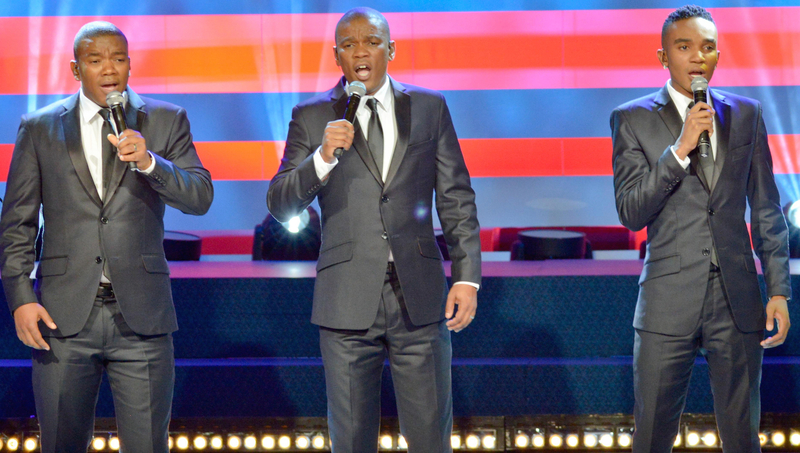 The Bala Brothers – Loyiso, Zwai and Phelo – are a household name in South Africa, thrilling audiences with their fusion of operatically-trained voices, rich harmonies and traditional South African melodies and rhythms. Overcoming apartheid, the trio rose out of poverty on the strength of their musical talent and broke the colour barrier of the famous Drakensberg Boys' Choir, becoming its first black members. 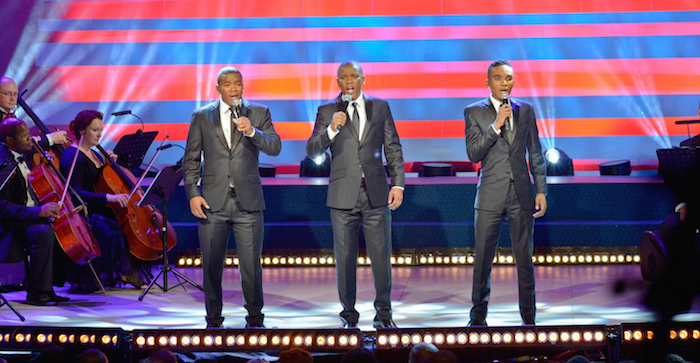 For their self-titled debut album on Warner Classics, the Brothers perform an inspiring live program of music ranging from The Lion King to Paul Simon (with their former choir as special guests), in their hometown Johannesburg’s Lyric Theatre. We ask musical director Zwai a few questions. Tell us a bit about how you guys got together and how you’ve managed to become so successful in your native South Africa. Loyiso and I had successful individual careers already within the music industry both as artists and music producers. After we discovered our baby brother's beautiful singing voice, we found ourselves singing together in harmony at a family gathering and that was when we knew we had something special. Having the same training amongst us, we brought a very unique sound to the musical landscape of our country. We sort of threw all that we had learnt and our experience into one pot. This included our vocal training, songwriting, arranging, orchestration, live and studio production knowledge combined with some entertainment business expertise. The final product was somewhat an easy sell and simple in its presentation. We always make sure that we not only cater for the classical/opera audience but that we take the listener on a journey from big orchestra numbers like "Nella Fantasia", "Circle of Life" and "Nessun Dorma" to rap, disco and upbeat African favorites such as Mirriam Makeba's "Pata Pata". Soon we found that anyone of any age finds the show to be entertaining, with plenty of surprises taking them through every emotion. "It is not necessary to have too many plugins and software. Work first using your natural ear and have what you know you need, topped with those extra tools that compliment your work. In my experience, I have learnt to accept that too much tends to take away from the authenticity more often than not." Was being part of the world-famous Drakensburg Choir a valuable learning experience? Everything we are and all that we know today is a direct reflection of what we learnt at the choir school. This goes beyond music alone but also other life tools such as discipline and teamwork. It was indeed an invaluable experience. We can now communicate and work with any musician on any level. Your debut album ‘Bala Brothers’ is about to be released via Warner Classics. How did you find the whole writing/studio/album creation process? This is actually our international debut. The arrangements were mainly put together by Emmy award-winning composer Michael Whalen who lives in New York although we did all of our own vocal arrangements, which we found simple and fun to work on because we know who sings best on which part of the song. We are always careful as to how we structure our harmonies so that they are most effective when utilized. During the process, we also acted as the link between the arranger, the guy who ran the sequencer/click track, the sound engineer and the conductor. Because we understand a lot about production and are familiar with many software programs, it helped a great deal in the end. We were even willing to do the final audio mix ourselves for obvious reasons. Next time we hope to have complete control over the creative process. You sing songs originally written by the likes of Elton John, Paul Simon and Winnie Mandela. Why did you choose those songs in particular? We always put the audience first in all of our presentations. The PBS audience is quite unique although not that complicated. Reaching a US and even broader worldwide audience is a first for us, so our choice of songs was critical and we had to keep strictly to English and a touch of our African languages so as to not throw them away completely and risk not being understood. We also considered choosing songs that had meaning and were aligned to our story and message. However, when traveling we tend to tailor our repertoire to suit our respective audiences. At the Drakensberg Boys' Choir, we had the privilege of learning to sing in various languages including German, French, Italian, Portuguese and even Chinese. "Everything we are and all that we know today is a direct reflection of what we learnt at the choir school. This goes beyond music alone but also other life tools such as discipline and teamwork. It was indeed an invaluable experience. We can now communicate and work with any musician on any level." Why did you choose to use Revoice Pro for audio processing in the studio? When I was working on my little brother Phelo's solo project in 2010, my engineer then introduced me to VocALign. I was overly impressed with it. I used it mainly to align his own vocals on doubles and harmonies. The original takes weren't badly performed at all but what VocALign did was completely unexpected and was a very pleasant surprise and find. That was the last time I used it because it did not belong to me then. It was when I started searching for it last year that I came across Revoice Pro and I was blown away by the capabilities that were now at my disposal. What do you find most useful about Revoice Pro? I like working with voices and one of my major strengths is arrangement. I am also pretty particular and pay very close attention to detail. The breaths and consonants have to be together and tight. I will usually create a demo version of a song with me singing all the parts and then supply a vocal score and MP3 for the singers before the session. However, it is sometimes a struggle to focus on all of this and at times I discover a lot of inaccuracies in post. Discovering Revoice Pro was god’s answer to my particular objectives. A single take may be the most perfect rhythm-wise but it may have unacceptable pitch issues or vice versa, so it is important enough for you not to want to let it go. Revoice Pro offers you so much flexibility and it is almost as if a performance cannot be too bad for it not to fix. Is there a particular ‘go-to’ feature you keep going back to? The APT function is what drew my attention the most at the beginning and it saves me a lot of valuable time. The manual pitch and time features also come in handy even when my engineer, for instance, cannot figure out the detail of what it is I am wanting to fix. This process affords me guaranteed results. What’s the most valuable piece of advice you would pass on to aspiring singers and audio professionals just starting out? Don't give up on your desired result. Do not settle for less because the solution to your problem may be out there somewhere. Remember that it's highly possible that somebody somewhere may have encountered the same problem and decided to do something about it. Go online and ask in forums. You will be amazed at what comes back at you! Searching for a solution to a problem may get a little too frustrating at the mixing stage when you would rather spend the time on being creative and be excited at the process of hearing your mix coming together. Therefore, it is first prize to achieve the best performance possible and benefit from having your tools by knowing that they are there SHOULD you need them. Sometimes you get the best out of them on great recordings anyway. Is there anything else you would like to share with the audio community? It is not necessary to have too many plugins and software. Work first using your natural ear and have what you know you need, topped with those extra tools that compliment your work. In my experience, I have learnt to accept that too much tends to take away from the authenticity more often than not. The best songs are composed away from the machines and proven outside of the studio. If you want inspiration, then go outside and see the toys as "a pen"- that which documents what you are already hearing in your head and feeling in your heart. Read more about the Bala Brothers and visit their website here.